GM Babaev gives you the chess endgame training knowledge and understanding that will decide games in your favor for years to come. the transition to the endgame and much more. Endgames are the weakest point for most players which means working on this critical phase presents a golden opportunity to rack up tournament wins and rating points. 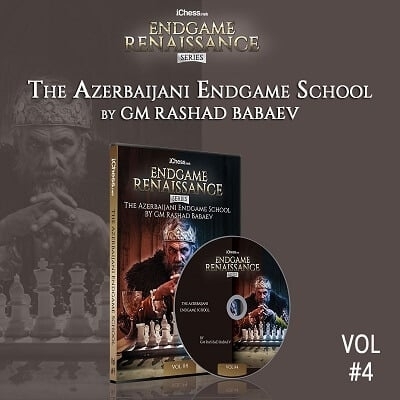 When you are serious about improving your endgame skills, it’s time to join GM Rashad Babaev’s Azerbaijani Chess Endgame School. GM Rashad Babaev is a full-time chess coach and has focused his career as a Grandmaster around developing young talent – and has had extraordinary success in reaching his objectives. A few of Rashad’s own students have themselves became Grandmasters. He was a sparring partner of many top Grandmasters in the World such as GM Vugar Gashimov. Between 2003-2009, he worked as a trainer of Youth Chess Team of Azerbaijan. Rashad is a very dynamic teacher who knows how to make chess exciting. His interactive teaching style engages young chess players and instills in them a love for the work ethic and challenges created on the chess board. If you want to take your chess skills to a completely new level, then you must definitely spend time working on your chess endgames. Most club players spend far too little time studying chess endgames. They are not familiar with essential theoretical endgames, nor do they focus on developing good endgame understanding and technique. However, decent endgame skills are vital for any aspiring chess player. They can enable you to win apparently equal positions with only small imbalances or save half a point from clearly worse positions. In this course, GM Rashad Babaev shows you a lot of key techniques to improve your endgame play. Endgames can be divided into two categories – theoretical endgames and practical endgames. Theoretical endgames feature positions in which the correct way of playing has already been analyzed by strong chess masters and is well-known. Knowledge of these theoretical endgames is key. The Philidor position in Rook Endgames. The following image shows you the Philidor position, a theoretical position in rook endgames. It is vital for any aspiring chess player to know how to deal with this position when defending. Practical endgames, on the contrary, feature positions which frequently arise in the games of many club players. There is no single correct solution and hardly any theory to these endgames because there are too many possibilities. Practical endgames are not about concrete knowledge of positions but about practical endgame skills. 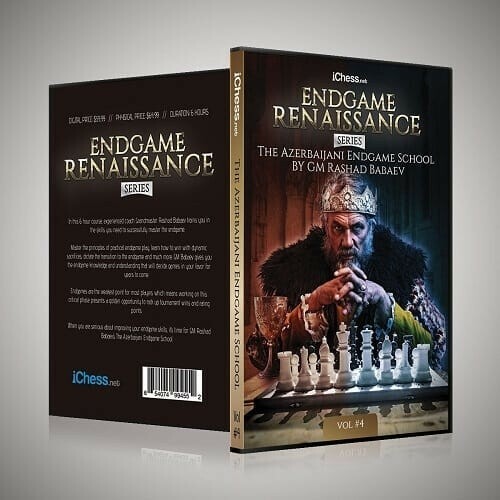 In this course, GM Rashad Babaev focuses on practical chess endgames rather than on theoretical endgames. 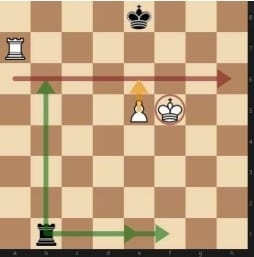 There are countless chess endgame training sources that deal with theoretical endgames and it’s definitely worth studying plenty of key theoretical endgame positions. However, there are far fewer training resources on how to approach practical endgame. Therefore, this course is devoted to the topic.